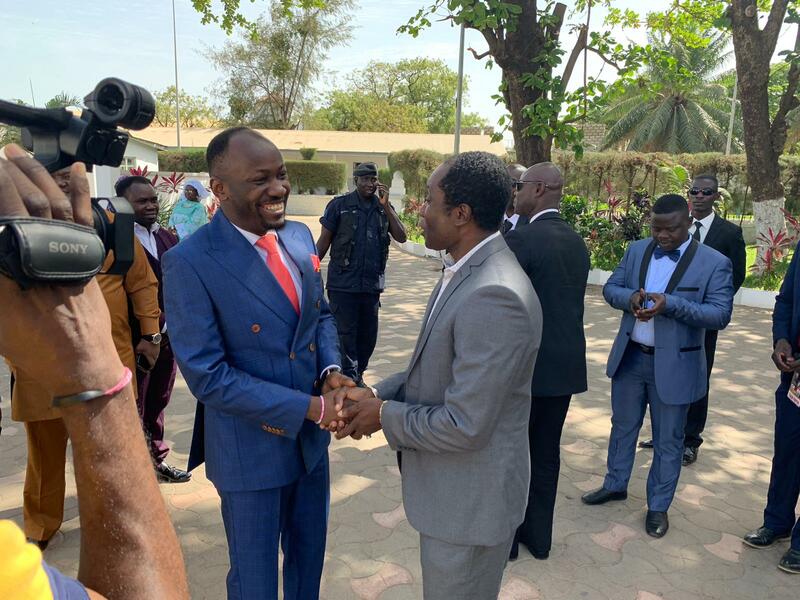 Apostle Johnson Suleman,visited the tiny West African country for a two-day restorative crusade. 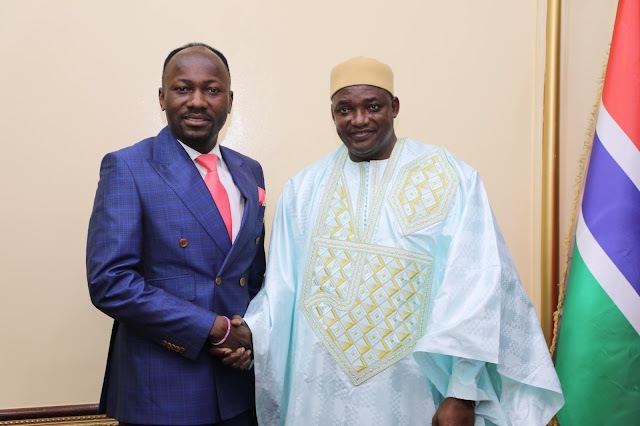 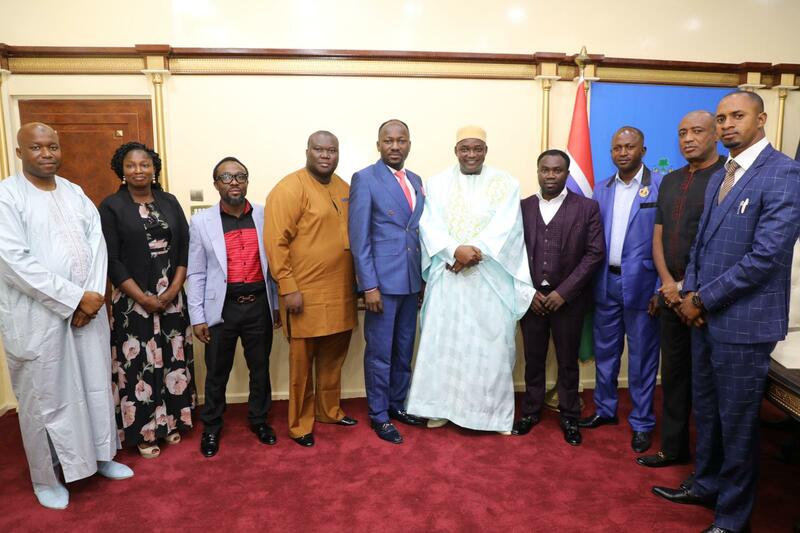 Welcoming Suleman, President Barrow expressed joy at his feats as a spiritual balm to souls that wander and congratulated him for bringing messages of love to all with his devotional efforts. Suleman, after the presidential reception, went on with the crusade, hosting hundreds of Gambians and people from neighbouring states as he ministered the healing power of God to all including those plagued with all manner of infirmities. 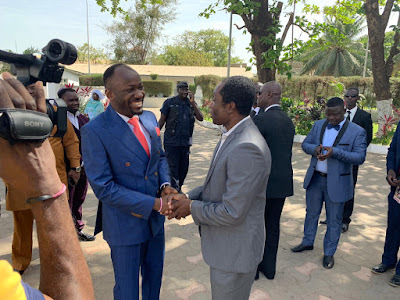 Apostle Suleiman, may God always be your strength in the ministry you are called upon.